Once the smoke cleared, the emperor's screams for help were heard. The scene was ghastly indeed – the emperor had lost both legs, and blood flowed freely from his stumps. Since he was still alive, he was placed in a carriage and rushed to the palace. Having no legs, a ruptured abdomen, and a ruined face, he received communion and extreme unction. 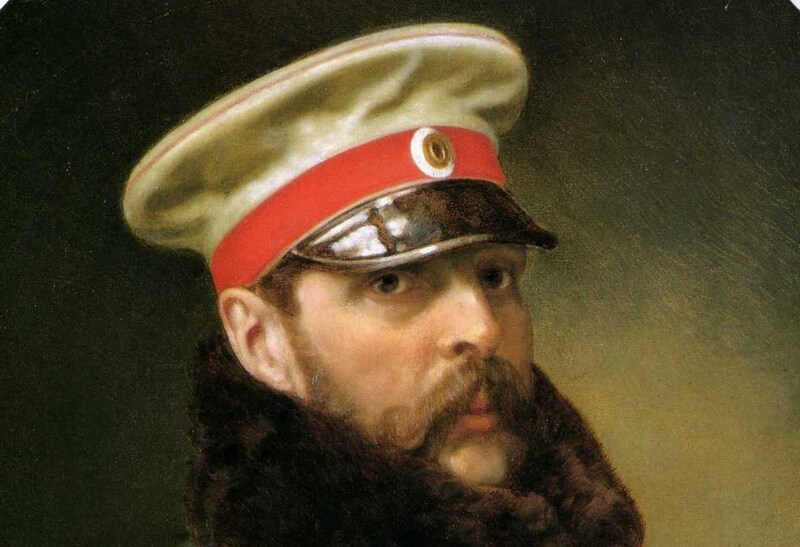 On this day Russian emperor Alexander II Romanov was killed in an assassination attempt. The emperor was roughly the peer of Queen Victoria, and had actually at one time intended to marry her and thus unite the thrones of Russia and Britain. On this day he was traveling to a military roll call. Nothing was left to chance, so that the carriage he was traveling in was armored (a gift from French emperor Napoleon III), and six cossacks were inside with their emperor. The commander of the Imperial Guard and the chief of the police traveled right behind the carriage. There were sidewalks for the public next to the road down which they were traveling. Suddenly, a young man tossed an explosive package in front of the carriage. The package exploded under the horses’ legs, but didn’t significantly damage the armored carriage. However, the emperor and his cossacks went out to investigate. They arrested the bomber, but at that moment another young man threw something at the emperor’s feet. It was also an explosive, and its detonation threw the emperor to the ground. Once the smoke cleared, the emperor’s screams for help were heard. The scene was ghastly indeed – the emperor had lost both legs, and blood flowed freely from his stumps. Since he was still alive, he was placed in a carriage and rushed to the palace. Having no legs, a ruptured abdomen, and a ruined face, he received communion and extreme unction. He died within 15 minutes. It was later discovered that there was also a third bomber hidden among the crown, in case the first two failed. The assassins were members of a left-wing group that supported a socialist revolution. It is interesting that one of the group’s cells was led by Aleksandr Ulyanov, Lenin’s brother.